Do you have an account with State Bank of India? Do you use the SBI ATM/Debit Card? You must be aware that the Debit Cards have limited validity. You can use the card until the card expires. If you wish to access the services without any interruptions, you need to renew the card. The cardholders have no other option to continue uninterrupted services without renewal. If you are unable to use the card, take a look at it and find out the expiry date printed on the front side. If the card expired, you can't use it for withdrawals, money transfers or online shopping. Generally, State Bank of India automatically sends a new ATM card one month before the card expires. If you didn't receive the card, the only option left for you is to get it renewed! You must immediately get the card renewed. To renew the expired card, you need not visit the branch. You can renew the expired SBI ATM Card online from anywhere. 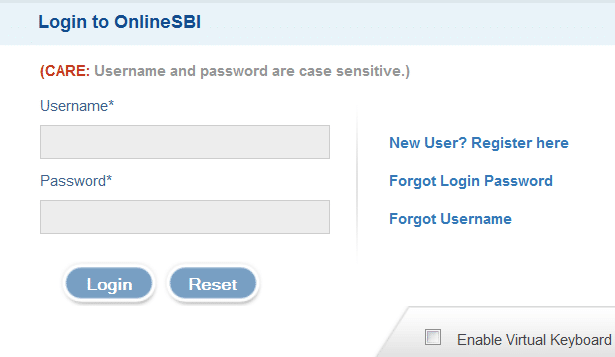 Step 1: Visit the SBI official online banking site. Enter the User ID and Password in the provided spaces. Click on Login to access your account. Step 2: Click on e-Services featured on the top menu bar. Select ATM Card Services. Step 3: You will get directed to a new page where you need to select the option 'Request ATM/Debit Card'. Step 4: You will receive the OTP on your registered mobile number, which you need to enter in the box displayed on the screen. Step 5: The next step is to select the primary card in correspondence to your name. Go through the Terms & Conditions and accept it to proceed. The new page on the screen will display the mailing address. Confirm the address and click on the Submit button. You will receive the new ATM/Debit card within seven working days. Important Note: If you shifted to another location, it would be a trouble to request renewal of the card. Visit the branch and change the registered address in SBI account. How to get Axis bank mini statement by missed call or SMS?